High School really can be hell !! 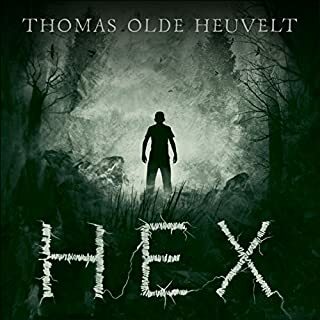 A chilling thriller that brilliantly blends psychological suspense and supernatural horror, reminiscent of Stephen King's The Shining, Shirley Jackson's The Haunting of Hill House and William Peter Blatty's The Exorcist. The lives of the Barretts, a suburban New England family, are torn apart when 14-year-old Marjorie begins to display signs of acute schizophrenia. To her parents' despair, the doctors are unable to halt Marjorie's descent into madness. 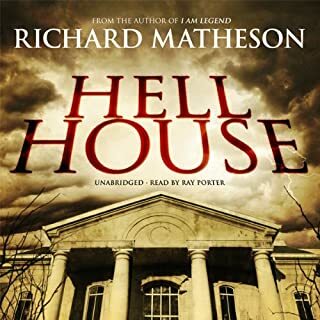 As their stable home devolves into a house of horrors, they reluctantly turn to a local Catholic priest for help and soon find themselves the unwitting stars of The Possession, a hit reality television show. 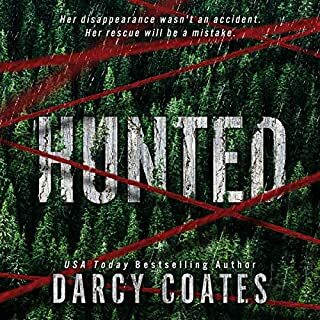 When events in the Barrett household explode in tragedy, the show and the shocking incidents it captures become the stuff of urban legend. Fifteen years later a best-selling writer interviews Marjorie's younger sister, Merry. 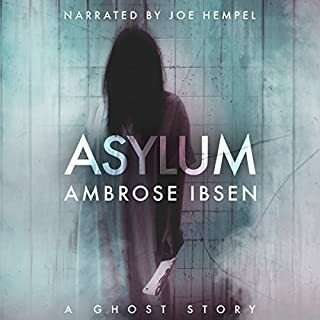 As she recalls the terrifying events that took place when she was just eight years old, long-buried secrets and painful memories begin to surface, and a mind-bending tale of psychological horror is unleashed. What a fantastic story! It was creepy, funny, and emotional. I can’t wait to see the movie adaptation. I am struggling to find anything that has come close to Andrew Pypers earlier books. I have no idea what this one was trying to achieve, but by the midway point I was just listening to finish it. It was intriguing, but not the least but scary. 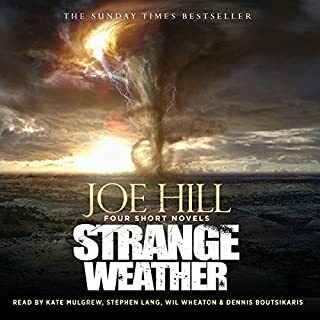 This is a brilliant and genuinely disturbing piece of horror fiction skilfully intertwining themes of superstition, religion, mental illness, modern day rationality and the vulnerability of children in an economically beleaguered family. 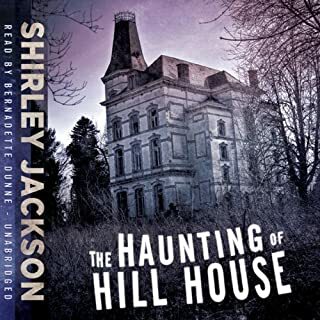 In the story’s construction the writer is unashamedly influenced by Shirley Jackson and We Have Always Lived in the Castle, with the young heroine, Merry, sharing a similar name to the earlier heroine (Merricat). Like that book this one has a strange out of kilter atmosphere created out the mind of a very wise child. This follows Merry who is 8 years old and in the thrall of her older sister who at 14 years of age is displaying disturbing signs of mental illness. The early scenes where Merry is being cruelly baited by the sister are truly chilling but her trust in her big sister is relentless despite her growing bewilderment and fear. 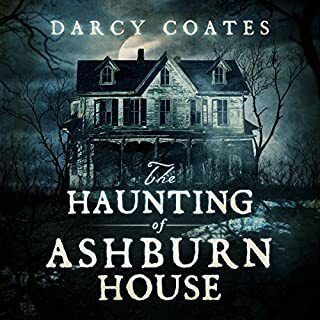 This is a story of a family torn apart by madness and economic misfortune but there is always the question of what is really going on and whose is the head that is full of ghosts. For those familiar with the Exorcist, the ghastliness of the scenes depicting the apparent possession will hold no surprises but this goes far beyond a straightforward story of good versus evil. There are some bizarre events, including the portrayal of the family’s plight on reality television, but really this is no more crazy than the world we are currently experiencing. Joy Osmanski provides a seamless performance giving a credible voice to Merry as a child and a grown woman. Like Merry you will want to make sense of this story but no matter how thoroughly you analyse this, you will always be left with a head full of unfathomable mystery. Top marks to this author. He is clearly a man who has tremendous talent and something fresh, new and intelligent to add to this genre. 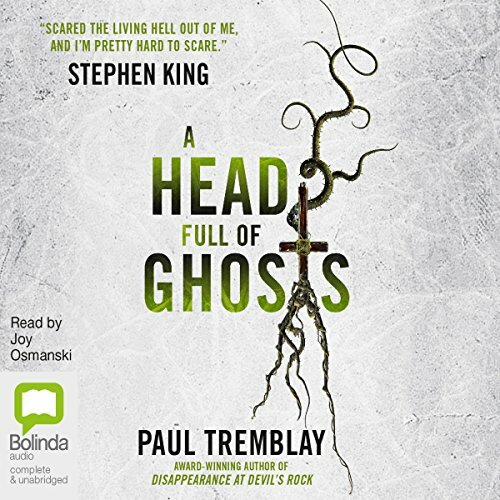 I'd been recommended Paul Tremblay as an author as I'm a fan of horror and when this and another of his books were in my wish list as well as an audible credit BOGOF deal I jumped in! 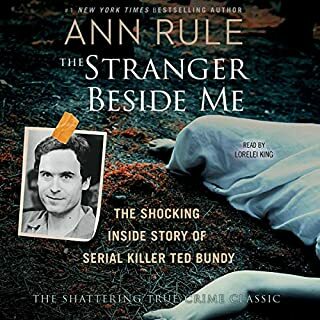 I start off this review with a couple of negatives, but purely personal views and shouldn't prejudice against a great 'read' so pls read all my (again, personal) thoughts. To get the first monkey off my back, I have to say I wasn't a fan of the narrator when she did 'male' voices. As limited as they were they came across as comical and took the edge of some moments unfortunately. That said, Joy Osmanski did an excellent job of the female characters, even the different voices for the same people i.e. through the ages. The second monkey was that although I really enjoyed this book, i didn't find it scary. 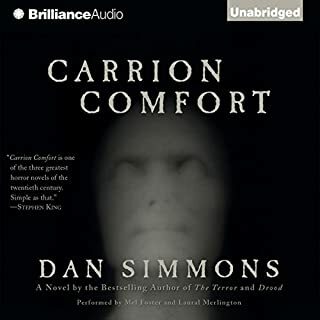 I enjoy reading and watching horror, but although they never really give me the frights they hold my suspense, while perhaps feel they lose something for me personally in the audio format. This held me, but if you are similar to me you aren't in for a horrific time... unfortunately. But this was still a great book as you can see from my score. So classing this as a psychological thriller, it holds it's own as we care about characters, what they're going through and how they themselves feel at any given moment. If flits between a 'now and then' storyline but they aren't that far apart (less than 20 years) so we have contemporary view to the situation which makes a nice change for this 'Exorcist' type setting rather than the old, Victorian gothic or mental wards and horrendous medical practices of yesteryear i.e. digital technology, mobile phones, clued up teenagers and a progressive view of mental health. 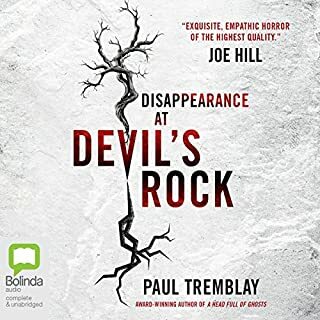 For fans of the horror genre part of the premise may seem overdone, possessed young girl needs an exorcism, but the great thing is the author Paul Tremblay more than eludes to this in the book, almost debunking his own storyline as we go as we follow the perspective of the possessed younger sister as a child and adult. But it never detracts from what he trying to convey. It is a very clever book, well researched and written and never feels like a carbon copy of anything you may have read or watched before. Tremblay's blogging character who reviews the TV show the possession is based on, ironically The Possession, has a great knowledge of films, both horror and filming techniques (which as a media student I appreciated but it didn't go into boring detail) and the classic stories to refer to. 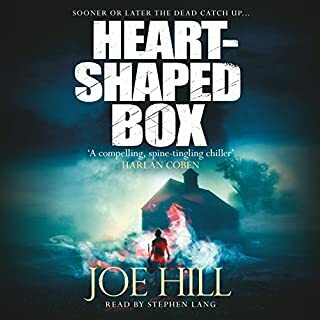 Clever, not just in terms of factual detail but how the possessed girl thinks, what she knows, what she makes you think & feel as well as twists along the way. I don't want to give much away, but thoroughly enjoyed it and have The Devils Disappearance lined up in my queue for a soon to be listened to experience. 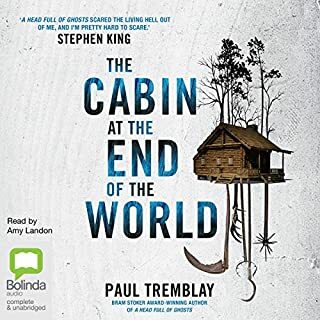 Glad I gave Tremblay a go - thanks audible! ...with the end of every chapter leaving you wondering what to believe and what will happen next. Stephen King states this book ‘scared the living hell’ out of him. I wouldn’t go that far (or perhaps I’ve read too many Stephen King novels and have become desensitised!) but it’s a solid story with an unexpected ending. 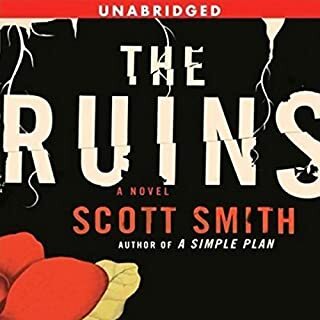 I'm not sure what I expected at all but this book was so good! 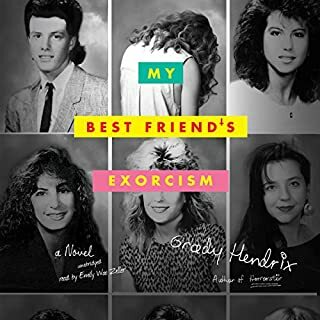 A story of hauntings and exorcism or mental illness....you decide. 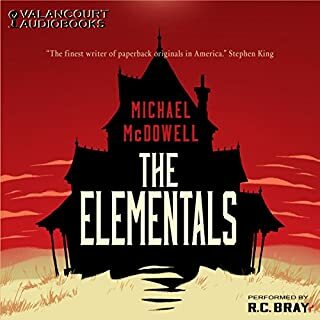 Possible one of the best audio books I've listened to this year. The best stories don't just end, this one I will be thinking about for a while. This is an excellent and very moving story. It's not scary so if you are looking for that you may be disappointed. It moves briskly and the ending really got to me. The only downside for me was the narration. The reader has a great voice however she struggles with male characters. I would have preferred that she not try to put on voices and instead just read the story. I went into this not hoping for much and the only thing I can say is that I wish I'd bought it sooner. 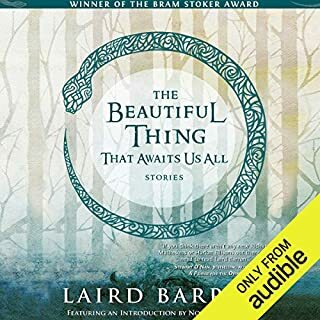 brilliant story and brilliant narration. Original stuff indeed and perfectly narrated. things, behind your closed eyes, which are just bone-deep dreadful. This is a horror book, not in the shaking with fear way... but in the the could really happen way. That people can be so disgustingly mad and afraid. This was terrifying because it could happen and in some ways it has. I highly recommend this book although I can say it will traumatize you and possibly make you cry. 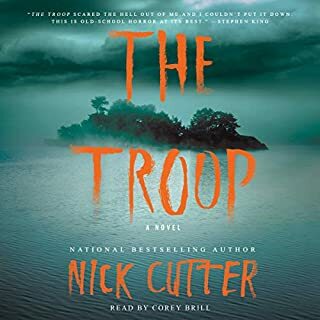 The story was intriguing all the way through, good narrator, but it disappointed at the end. I kept waiting for the creepy to turn up but it didn't, leaving just sadness behind. Not much of a fan, to be honest.